You can now bring your child along as young as 6 to start learning the art of kart racing, starting with our Bambino lessons. 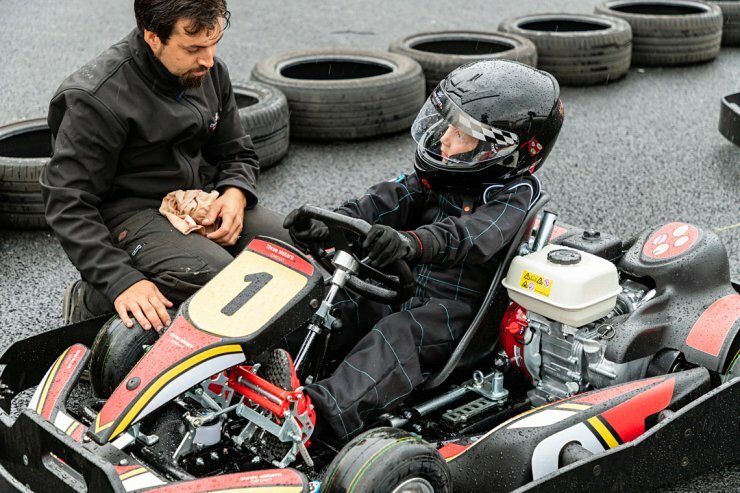 The aim of these lessons is to teach them the basics of kart racing before they move up into our Cadet and Junior lessons, and then onto the club. Your little ones will be looked after and trained by one of our registered ARKS instructors and we will do our best to help them through all these important first stages! (There is even a little bit of homework but don’t tell them that yet). Lesson 1 (£49 pp): This is to build confidence and provide the skills of basic controls and safe handling of the kart. Lesson 2 (£49 pp): Teaches concept of the racing line, and correct cornering techniques. Lesson 3 (£49 pp): Covers racing lines, cornering techniques, driving standards, signals and flags. Please note that if a driver intends to wear a race helmet provided by the circuit, they are also required to wear a balaclava. Please either bring one with you, or you can purchase one at reception for £2.50.